As heard on BBC R4's Woman's Hour 'A must-read for any parent who feels stressed out and living in an environment often rife with tension and anxiety.' Evening Standard An essential 10-step plan for a stress-free family life. We all know that raising happy, confident and resilient children can be a tough job in this fast-paced world - and there's never any shortage of well-meaning advice on how to be a better parent. So, if you're anxious and struggling to cope with the pressures of school and family life - or if you worry that you're not doing enough to support your child through their problems - give yourself a break: this book really can help you. 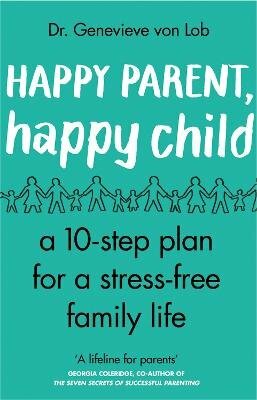 Clinical psychologist Dr Genevieve von Lob draws on her extensive experience working with hundreds of families to provide a simple 10-step plan for a stress-free family life. As she helps you to tackle the dilemmas every parent faces and defuse tension and anxiety in the home, Genevieve also aims to bring a sense of confidence, calm and balance both to you and your child. This is a practical, down-to-earth guide - and essential reading for every parent.